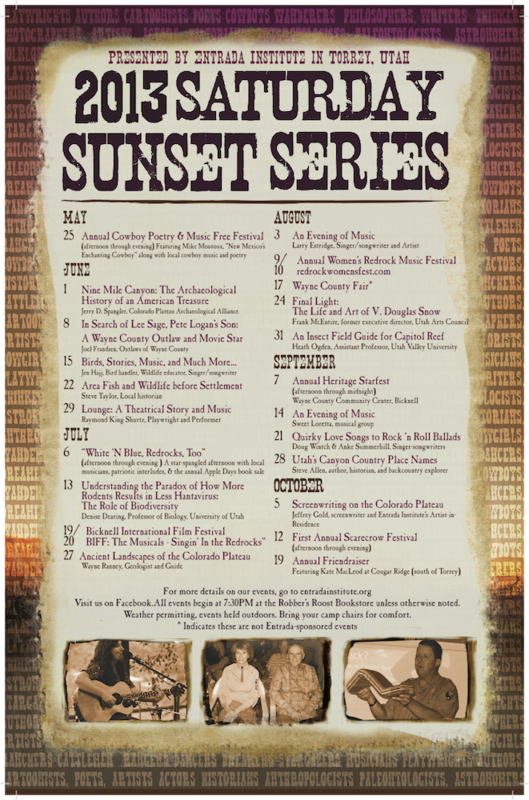 Check out the 2013 Saturday Sunset Series. If you have a suggestion for an Entrada event contact us. Print your own PDF version of the 2013 calendar. 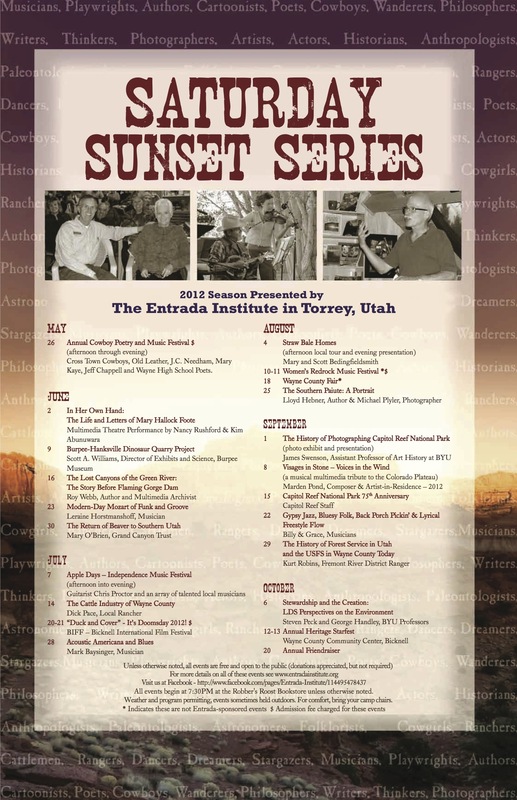 To view the schedule from past Saturday Sunset Series, go to 2011, 2012. 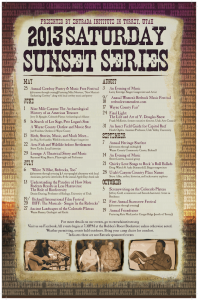 All events begin at 7:30PM at the Robber’s Roost Bookstore unless otherwise noted. Weather permitting, events held outdoors. Bring your camp chairs for comfort.